The Kiron University is a new online university for asylum seekers who are willing to get a degree in higher education. Thanks to its flexible scheme, asylum seekers and refugees can access the Kiron University without having to comply with the legal, language and financial requirements that are usually hard to fulfil for people fleeing their home countries. Kiron’s work has a positive impact not just for refugees, but also for society, the economy, and education. The Greek Forum of Refugees is a multinational network. Members can be individuals and formal or informal groups of refugees without political or religious character. The main objective of the GFR is to create a sustainable network that will unite all refugees living in Greece through a common course of action. The GFR aims to provide assistance to refugees during the asylum procedure, to protect their rights and to support their integration into Greek society. Migszol Csoport is an informal activist group that promotes the realization of the political and social rights of refugees and migrants in Hungary since 2012. The work of the group includes organization of events and campaigns that bring Hungarians and refugees together, visits to refugee camps in Hungary, producing and sharing information on the situation of refugees and migrants in the country, and cooperating with other Hungarian civil society organizations. The Ethical Fashion Initiative (EFI) is a flagship programme of the International Trade Centre, a joint agency of the United Nations and the World Trade Organization. The Ethical Fashion Initiative links the world’s top fashion talents to marginalised artisans – the majority of them women – in East and West Africa and Haiti. Active since 2009, the Initiative enables artisans living in urban and rural poverty to connect with the global fashion chain. ENAR is the only pan-European anti-racist network that combines advocacy for racial equality and facilitating cooperation among civil society anti-racist actors in Europe. The organisation was set up in 1998 by grassroots activists on a mission to achieve legal changes at European level and make decisive progress towards racial equality in all EU Member States. Since then, ENAR has grown and achieved a great deal. 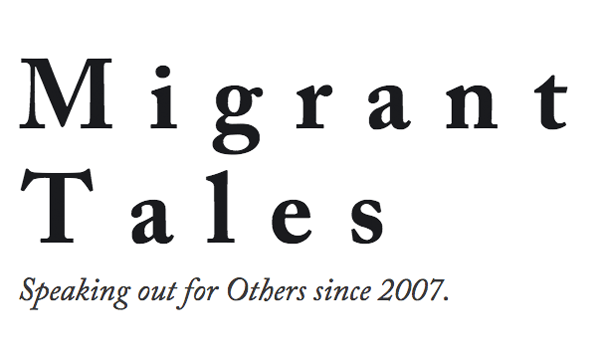 Migrant Tales is a blog community that debates some of the salient issues facing immigrants and minorities in Finland and elsewhere. It aims to be a voice for those whose views and situation are understood poorly and heard faintly by the media, politicians and public. If you also wish to become a member of our Network, don’t hesitate to get in touch with us through the form below!